I found this stored on my computer and i found it a fun read, either way the article does raise an eye brow , if you had never considered these types of thoughts. I don’t know if there are men on the moon, but if there are they must be using the earth as their lunatic asylum. – George Bernard Shaw. The Moon is bigger than it should be, apparently older than it should be and much lighter in mass than it should be. It occupies an unlikely orbit and is so extraordinary that all existing explanations for its presence are fraught with difficulties and none of them could be considered remotely watertight. 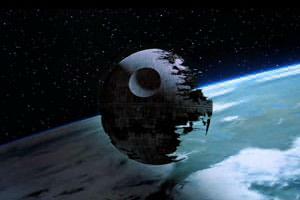 … In general, then, when a planet does have satellites, those satellites are much smaller than the planet itself. Therefore, even if the Earth has a satellite, there would be every reason to suspect … that at best it would be a tiny world, perhaps 30 miles in diameter. But that is not so. Earth not only has a satellite, but it is a giant satellite, 2,160 miles in diameter. How is it then, that tiny Earth has one? Amazing. There are so many anomalies with the Moon. It has no magnetic field, and yet moon rocks are magnetised. It has the phenomenon known as ‘mascons’ (mass concentrations), which are large circular areas of unusually high density and a higher gravitational ‘pull’. Don Wilson, author of Our Mysterious Spaceship Moon, says it appears that mascons could be some kind of artificial construction. They are found in the vast plains on the Moon known as ‘maria’ that were once believed to be seas. About a third of the Moon facing the Earth is made up of these maria while there are few on the ‘dark side’, and no-one can explain why the two sides are so different. The Moon produces precisely the same seismic vibrational effects every time it moves closer to the Earth. How can this be if it is a natural phenomenon that would be bound to change over time? New York Times writer, Walter Sullivan, said it was ‘as though the ups and downs of the stockmarket repeated themselves precisely for each period of fluctuation’. The oldest rocks collected from the Moon are far older than any found on Earth. Some moon rocks are said to date back 4.5 billion years and that makes them a billion years older than any found on this planet. Harvard’s astronomy journal, Sky and Telescope, reported that the 1973 Lunar Conference was told how one moon rock was dated at 5.3 billion years old. This would make it nearly a billion years older than the predicted age of Earth. The rocks were also discovered to have a different composition to the lunar dust in which they were found, and the dust has apparently been estimated to be a billion years older than the rocks. Huh? If the Earth and Moon were created at the same time, near each other, why has one got all the iron and the other [the Moon] not much? The differences suggest that Earth and Moon came into being far from each other, an idea that stumbles over the inability of astrophysicists to explain how exactly the Moon became a satellite of Earth. Christopher Knight and Alan Butler reveal in Who Built the Moon? many remarkable mathematical connections with regard to the Moon, Earth and the Sun using the base number of ten. These mathematical synchronicities only work with these three bodies and not with any of the other planets or moons in the solar system. The Moon is 400 times smaller than the Sun, and at a solar eclipse it is 400 times closer to Earth. This makes the Moon appear from Earth to be the same size as the Sun – hence a total eclipse. The Moon has astonishing synchronicity with the Sun. When the Sun is at its lowest and weakest in mid-winter, the Moon is at its highest and brightest, and the reverse occurs in mid-summer. Both set at the same point on the horizon at the equinoxes and at the opposite point at the solstices. What are the chances that the Moon would naturally find an orbit so perfect that it would cover the Sun at an eclipse and appear from Earth to be the same size? 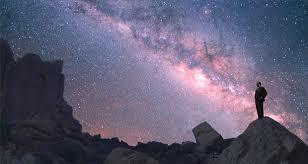 What are chances that the alignments would be so perfect at the equinoxes and solstices? The Moon always shows the same side or ‘face’ to the Earth during the period when we can see it. 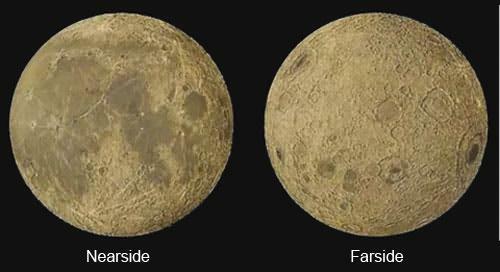 We never see what is called the ‘dark’ or far side of the Moon from the Earth. This is due to the synchronicity of the Moon’s rotation. It rotates on its axis in about the same time it takes to orbit the Earth, and this means that the same ‘face’ is turned towards Earth at all times. The Moon’s rotation is extremely slow compared with Earth’s, and in the time it takes for the Moon to complete just one turn, Earth will rotate more than 27 times. Earth rotates at a speed 400 times faster than the Moon, and turns 40,000 kilometres on its axis in a day to the Moon’s 400. Earth spins 366.259 times during one orbit of the Sun, and the polar circumference of the Earth is 366.175 times bigger than that of the Moon. The polar circumference of the Moon is 27.31 per cent the size of the earth and the Moon makes 27.396 turns per orbit of the Earth. Knight and Butler say that if you multiply the circumference of the Moon by that of the Earth, the result is 436,669,140 kilometres. If this number is divided by 100 it becomes 436,669 kilometres – the circumference of the Sun correct to 99.9 per cent. If you divide the circumference of the Sun by that of the Moon and multiply by 100 you get the circumference of the Earth. Divide the size of the Sun by the size of the Earth and multiply by 100 and you get the size of the Moon. The writers correctly conclude that the number-play involved with the Earth-Moon-Sun system is ‘nothing less than staggering’, and the Moon appears to have been inserted into the Sun-Earth relationship ‘with the accuracy of the proverbial Swiss watchmaker’. This all seemed very odd. The Megalithic structures that were built across Western Europe were frequently used to observe the movements of the Sun and the Moon, but how could the unit of measure upon which these structures were based be so beautifully integer to the circumference of these bodies as well as the Earth? I would say that it is because the Reptilians who control the Moon were also involved in the building of the Megalithic structures. Knight and Butler say that megalithic-yard mathematics can be found in other units of measurement such as the pound and the pint. The ancients worked with a circle based on 366 degrees to match the number of Earth rotations in an orbit of the Sun, a number dictated by the position and influence of the Moon on Earth’s speed of spin. The Sumerians changed the mathematics when they introduced the 360-degree circle and the units of 60 minutes and 60 seconds. There are countless indications that the Moon is hollow, and it is acknowledged that the core is far less dense than the outer layers. Some scientists say it may even have no core at all. NASA scientist, Dr Gordon MacDonald, said in the early 1960s that ‘it would seem that the Moon is more like a hollow than a homogeneous sphere’. He surmised that the data must have been wrong – but it wasn’t. MacDonald was right the first time. Dr Sean C Solomon of the Massachusetts Institute of Technology said the Lunar Orbiter experiments had vastly improved knowledge of the Moon’s gravitational field and indicated the ‘frightening possibility that the Moon might be hollow’. Cosmologist, Carl Sagan, made the point that ‘a natural satellite cannot be a hollow object’. The Moon has only 60 per cent of the density of Earth, and an equal amount of Earth material would appear to weigh almost twice as much as that of the Moon. This has led some scientists to believe that the Moon either does not have an iron core and/or that it is partially hollow. A team at the University of Arizona said they believed that the Moon does have a core, but that it is tiny. Lon Hood, the team leader, said: ‘We knew that the Moon’s core was small, but we didn’t know it was this small … This really does add weight to the idea that the Moon’s origin is unique, unlike any other terrestrial body – Earth, Venus, Mars or Mercury.’ Yeah, it’s artificial. The Apollo 12 mission to the Moon in November 1969 set up seismometers and then intentionally crashed the Lunar Module causing an impact equivalent to one ton of TNT. The shockwaves built up for eight minutes, and NASA scientists said the Moon ‘rang like a bell’. Maurice Ewing, a co-director of the seismic experiment, told a news conference that he had no idea why this had happened: ‘As for the meaning of it, I’d rather not make an interpretation right now, but it is as though someone had struck a bell, say, in the belfry of a church a single blow and found that the reverberation from it continued for 30 minutes.’ Dr Frank Press from the Massachusetts Institute of Technology said that for a ‘rather small impact’ to produce an effect that lasted for 30 minutes was ‘quite beyond the range of our experience’. The Apollo 13 mission to the Moon in 1970 was aborted due to potentially catastrophic technical problems, and the Saturn V launch vehicle, weighing 15 tonnes, was crashed into the Moon about 100 miles from where the previous mission had left the seismometer. When the launch vehicle made impact with the equivalent of eleven tonnes of TNT, NASA scientists said the Moon ‘reacted like a gong’ and continued to vibrate for three hours and twenty minutes to a depth of up to 25 miles. Ken Johnson was a supervisor of the Data and Photo Control department during the Apollo missions, working for a company contracted to NASA. He told Who Built the Moon? author, Alan Butler, that the Moon not only rang like a bell, but the whole Moon ‘wobbled’ in such a precise way that it was ‘almost as though it had gigantic hydraulic damper struts inside it’. All of which would explain why the Moon vibrates in exactly the same way every time it moves closer to Earth. 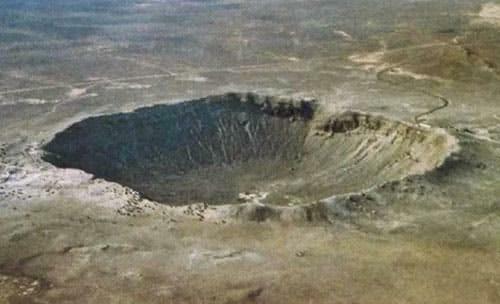 The Moon was hit by a meteor with the power of 200 tonnes of TNT in 1972. This unleashed enormous shockwaves deep into the interior, but none came back. The outer surface of the Moon is extremely hard and contains minerals like titanium. Moon rocks have been found to contain processed metals, including brass and mica, and the elements uranium 236 and neptunium 237 that have never been found to occur naturally. Uranium 236 is a long-lived radioactive nuclear waste and is found in spent nuclear fuel and reprocessed uranium. Neptunium 237 is a radioactive metallic element and a by-product of nuclear reactors and the production of plutonium. How the heck did this stuff get into Moon rocks? They also found iron particles that don’t rust, and again, this does not happen naturally. If you are going to launch an artificial sputnik, then it is advisable to make it hollow. At the same time it would be naïve to imagine that anyone capable of such a tremendous space project would be satisfied simply with some kind of giant empty trunk hurled into near-Earth trajectory. It is more likely that what we have here is a very ancient spaceship, the interior of which was filled with fuel for the engines, materials and appliances for repair work, navigation instruments, observation equipment and all manner of machinery … in other words, everything necessary to enable this ‘caravelle of the Universe’ to serve as a Noah’s Ark of intelligence, perhaps even as the home of a whole civilisation envisaging a prolonged (thousands of millions of years) existence and long wanderings through space (thousands of millions of miles). Naturally, the hull of such a spaceship must be super-tough in order to stand up to the blows of meteorites and sharp fluctuations between extreme heat and extreme cold. Probably the shell is a double-layered affair – the basis a dark armouring of about 20 miles in thickness, and outside it some kind of more loosely-packed covering (a thinner layer – averaging about three miles). In certain areas – where the lunar ‘seas’ and ‘craters’ are, the upper layer is quite thin, in some cases, non-existent. If a material had to be devised to protect a giant artificial satellite from the unfavourable effects of temperature, from cosmic radiation and meteorite bombardment, the experts would probably have hit upon precisely these metals. In that case is it not clear why lunar rock is such an extraordinarily poor heat conductor – a factor which so amazed the astronauts? Wasn’t that what the designers of this supersputnik of the Earth were after? From the engineers’ point of view, this spaceship of ages long past which we call the Moon is superbly constructed. Some lunar rocks have been found to contain ten times more titanium than titaniumrich rocks on Earth. Titanium is used in supersonic jets, deep-diving submarines and spacecraft. Dr Harold Urey, a winner of the Nobel Prize for Chemistry, said he was ‘terribly puzzled by the rocks from the Moon and in particular their titanium content’. He said the samples were ‘mind-blowers’ and that he could not account for the titanium. Dr S Ross Taylor, the geochemist in charge of lunar chemical analysis, said the problem was that maria plains the size of Texas had to be covered with melted rock containing fluid titanium. He said you would not expect titanium ever to be hot enough to do that, even on Earth, and no one had ever suggested that the Moon was hotter than Earth. What could distribute titanium in this way? Highly advanced technology developed and operated by entities that are immensely more technologically advanced than humans. Why the Moon is a freak world – too big and too far out to be a natural satellite of Earth? 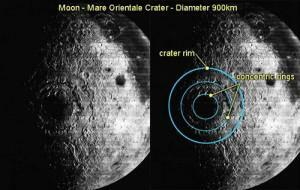 Why the Moon has such shallow craters? Why and how the Moon can sustain its bulge? Why some moon rocks are older than Earth, and as old (at least) as the solar system? Why the Moon seems ‘inside out’? The various mysteries of the maria and mascons? How the Moon can be a dry-as-dust world and yet have occasional clouds of water vapour? Why the Moon vibrates like a ‘huge gong’, transmitting tremors great distances around and through itself? How the Moon can produce so many contradictions of data and findings? I hadn’t read any of this until I had that overwhelming feeling at my computer that the Moon was artificial and was being used to control life on this planet. It is the Reptilians’ control system. The placement of the Moon dictates the speed of Earth’s rotation and the angle at which it rotates – 22.5 degrees from vertical. This angle creates the four seasons because of the way planet faces the Sun during its annual orbit. The Moon has a major influence on the tides – far more than the Sun – and with the human body consisting of some 70 per cent water it is bound to have a fantastic influence on us, even on that level alone. The Moon also dictates so much of our relationship with time, and the term ‘month’ is really Moonth, a period based on the cycles of the Moon. The realisation that the Moon is a gigantic spacecraft is the strand that connects all the rest, not just in relation to Moon anomalies, but also to life on Earth and the conspiracy to enslave humanity. The fact is that the Reptilians in the Moon and in underground bases on Mars depend on humans and the Earth for food – their very survival. This is one key reason why they are desperate not to be exposed. Water and other resources are constantly being taken from this planet to the Moon and Mars and this is not a new phenomena, either. Ancient Zulu stories say the same. I just recieved an email out of the blue directing me to this post . . . .